Is the blazing sun or the untimely rain stopping you from spending time in your beautiful garden? A pergola is the best solution to the problem. 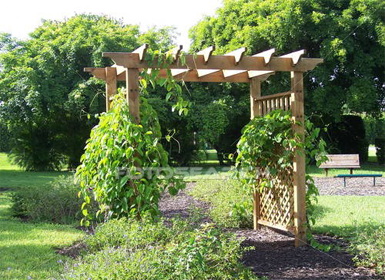 A pergola is a type of shelter that can be placed in the outdoors. It is a protection from the forces of nature and is also a way to beautify your garden or surroundings. This way, a pergola can add sophist action, beauty and also provide you with a place to sit comfortably and enjoy the surroundings. However, installing a pergola can be a little heavy on the budget so the best possible option is to build a pergola by yourself. It may seem like a daunting task, but it can save you a lot of money and can be a fun recreational activity that you can do with your family. Getting the required things in order to build a pergola is the first step towards building your own pergola. We can worry about how to build it later. Before you go shopping, take appropriate measurements of the area where you want to build a pergola. This will help you in getting the right size and type of pergola. The different types include different designs and of course different types of wood used in making it. Cedar, one of the more expensive types of wood, is also the most durable and lasts the longest. However, any type of pressure treated timber will be good enough. 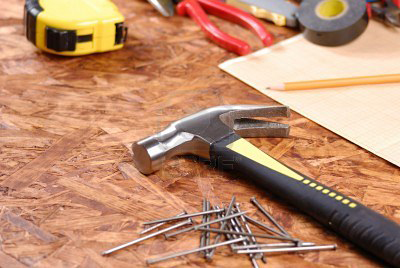 Secondly, you will need to get bags of cement, saws, paints and a nail gun. A tape measure should be bought for precise measurements and get extra pieces of timber as a safety measure. If you are wondering how to build a pergola from all the material you have bought, stop worrying. Take a deep breath, it is not as hard as it seems. Start with a particular plan. The following guidelines can help. First of all, you need to set up the base of the pergola. This is easiest to do if you set up a square or rectangular pergola. If you plan on building a large pergola, a proper solid base would be required which will consist of a cemented platform. However, for a simple, small scale design, the ground can also be used as a base and you can get the basic shape with the help of stakes so that you just know where you will be installing the roof of the pergola. Make holes the size of the wooden posts you have bought. Ideally they should be between two to four inches in diameter. Prepare the cement mixture in a separate container and then pour it into the holes. The anchors of the wooden posts are placed in the holes and held in place until the cement dries. If you want to paint the posts, now is the time. After it dries, place the wooden posts in their anchors and tighten the bolts. That is followed by the most daunting task, which is instant. If you want to know how to build one,start by placing the cross members of the roof on the upper portions of the wooden posts. These will have headers, which are similar to anchors. The middle board is added last for increased stability. Check and double check whether each and every header is in place and then let the whole setup dry. After a few days, your pergola will be ready to provide you with the shelter, and there will be the added satisfaction of having built it yourself as well as saving many dollars.